We contract with Physicians Laboratory Services (aka PhysLab) for confidential drug screens which are obtained upon admission and at other times during treatment, depending on the focus of treatment (e.g., addiction recovery). Drug screens can be either presumptive or confirmatory. The drugs screens that we obtain are presumptive tests. 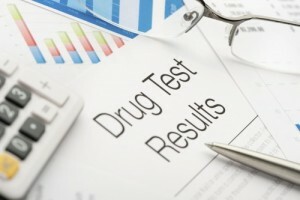 Confirmatory tests can be ordered if there is a positive result on a drug screen and the therapist, client, parent, and/or legal guardian requests 100% confirmation of the drug screen result. Presumptive. An analysis of a sample which establishes either the sample: is definitely not a certain substance; or is probably the substance. A negative result may not necessarily indicate drug-free urine. Negative results can be obtained when the drug is present but below the cut-off of the test. Typically, a screening test is done by an immunoassay test. Confirmatory. Laboratory testing that is conducted to confirm the results of the presumptive test. A confirmatory test is only required when: the presumptive test report is positive for the substance; to confirm the substance’s identity; or to measure the percentage purity or other quantitative analysis. A confirmatory drug test is usually ordered in response to a positive result from a presumptive screening drug test. This second test uses the same sample, but different technology to confirm the initial results and provide further analysis. This two-test authentication of positive results is intended to reduce false positives and provide greater confidence in results. The confirmatory test is generally a Gas Chromatography-Mass Spectrometry (GC-MS) test which is considered to be the most rigorous confirmation method for drugs of abuse testing and is 100% accurate (i.e., no false positives or negatives). Cost of Drug Screens. Information about the cost of drug screens can be found on the Fees page of our website.